As you have probably heard, the ObamaCare website has had some serious glitches, but now there is a way to avoid all that. Medicoverage announced today that they are able to quickly submit paper applications for ACA Bronze, Silver, Gold, and Platinum plans in most states. The Affordable Care Act paper application is now available for individuals and families in the following states. 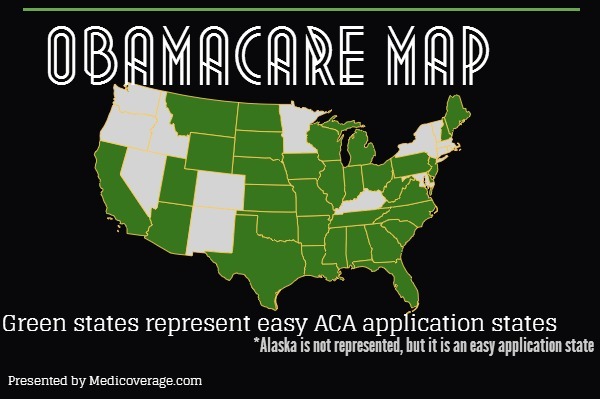 This is the easiest way to apply for health coverage. Click on your state below to access the application. Need Assistance filling out the Application? You can call an agent to receive help while filling out the app or selecting the right plan by calling 800-930-7956. We are here to help you. Many people don’t realize that there is no fee to work with an agent. With our help and the new paper application you won’t experience the ObamaCare website timing out nor the long wait times for hotline assistance (apparently reported up to 45 mins!). And, not to worry, you will be still be eligible for ObamaCare subsidies if you qualify. When you’re done with your application fax it to 310-765-4136 or mail it to the address on the cover sheet of your application. then i always get the new interesting and important information from your web blog. Thanks a lot for sharing such great news.